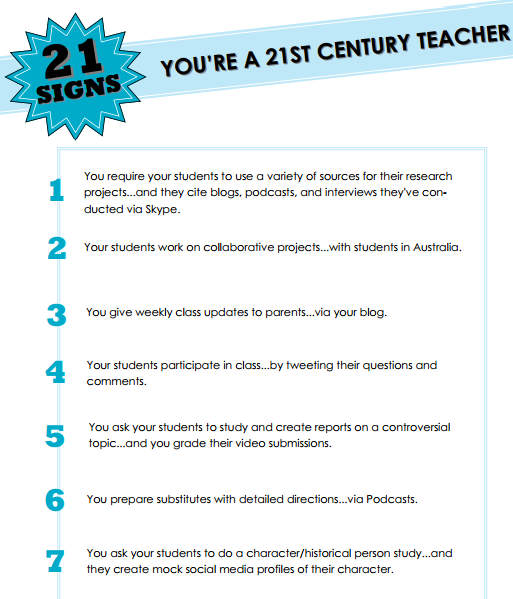 Teaching in the 21st century is definitely not an easy task. Students are digitally focused and have more free access to information challenging thus the traditional prototypic picture of the teacher as the knowledge instigator. Engagement is also another serious issue that makes educating such kind of students a real nightmare. It takes so much creativity, originality, and novelty from the part of teachers to get students motivated and engaged. Technology has the cure but this cure can not be effective unless teachers know how to use its prescription. Teachers need to acquire certain digital skills that are detrimental to the success of their instruction and without which no learning objectives could be cultivated. 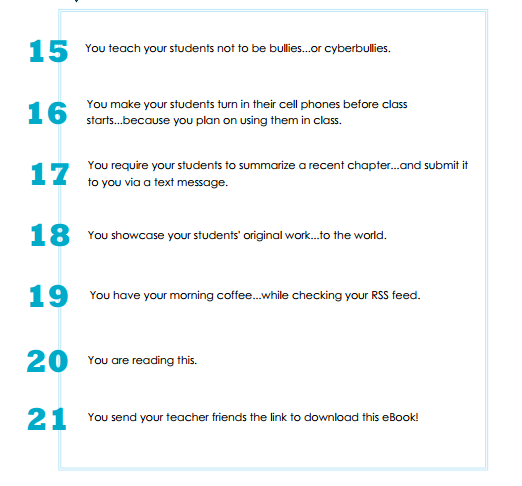 These skills are not hard to get and the 33 digital skills list has even made it way easier for any educator to go through the skills kit and check what they have and what they are missing. Another resource which I highly recommend for any 21st century teacher is the awesome learning community calledSimple k-12. I have recently registered with them and started digging into their resources and I was really amazed with the wealth of information they have. 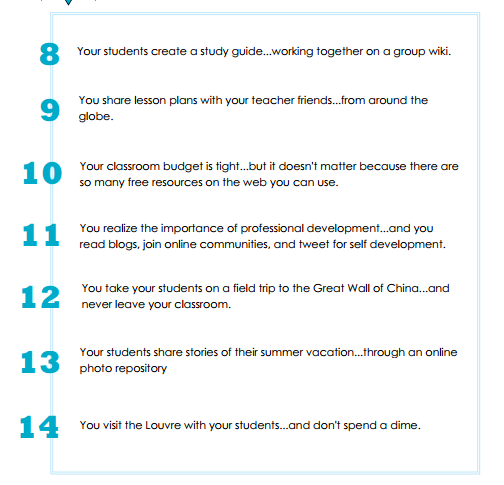 There is a great section called Shared Resources where educators get to discover what others have shared. You can for instance have access to free ebooks ( like the one I am sharing below ), docs, files, webinars, and many more. I am mentioning Simple K 12 here because what they offer clicks in with the general theme of Educational Technology and Mobile Learning and also because It is a an inestimable source for professional development for teachers and educators. 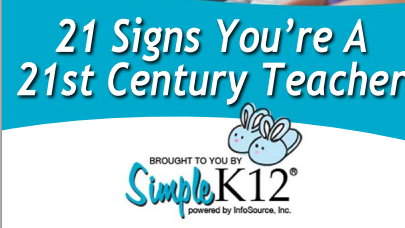 In this regard, and while I was wading through some of its most downloaded ebooks for this week I came across this outstanding ebook called The 21 Signs you are A 21st Century Teacher, though it is too short to call it an ebook but yet it is compiled and organized in such a way that you can not help but read it all. It wont take you more than 10 minutes to finish it but its benefit could be life lasting.